Stay fresh and protected with Neal's Yard Remedies Spray On - Lavender and Aloe Vera Deodorant, a natural antiperspirant for sensitive skin. Formulated with a blend of cleansing and anti-bacterial extracts, the natural deodorant helps to keep underarms feeling clean, cool and odour free. 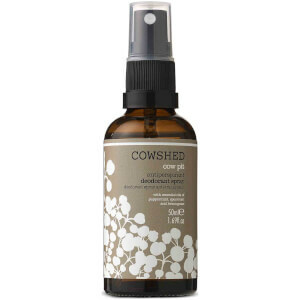 Extract of Alpine Moss helps fight the bacteria that cause odour, while cleansing organic essential oils of Lavender, Tea Tree and Ylang Ylang, and a dose of Aloe Vera (known for its soothing properties) leave underarms feeling purified and refreshed. 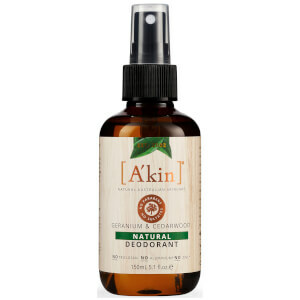 Free from pore-blocking aluminium salts and preservatives, the effective deodorant provides natural underarm protection. Free from parabens, aluminium-salt, synthetic colours and fragrances. Vegan. No animal testing. Made in England.